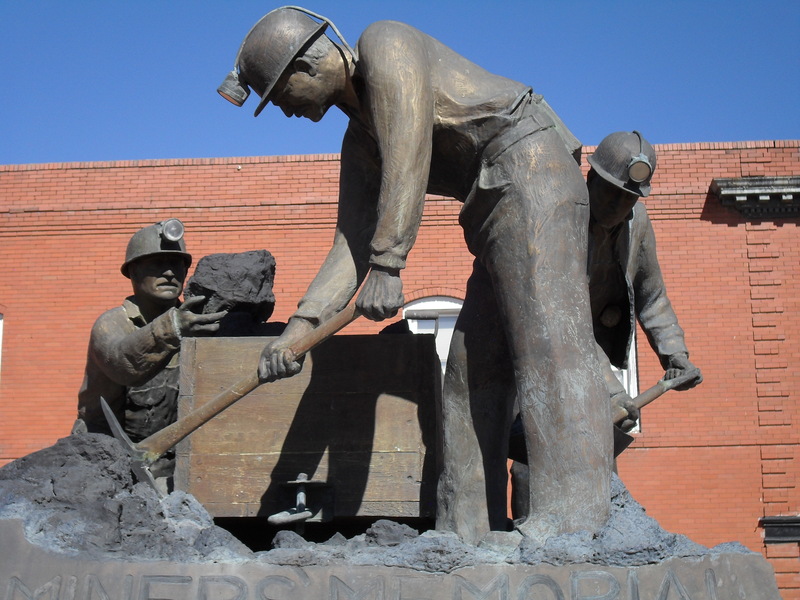 The Southern Colorado Coal Miners Memorial is located on West Main Street, in downtown Trinidad, Colorado. 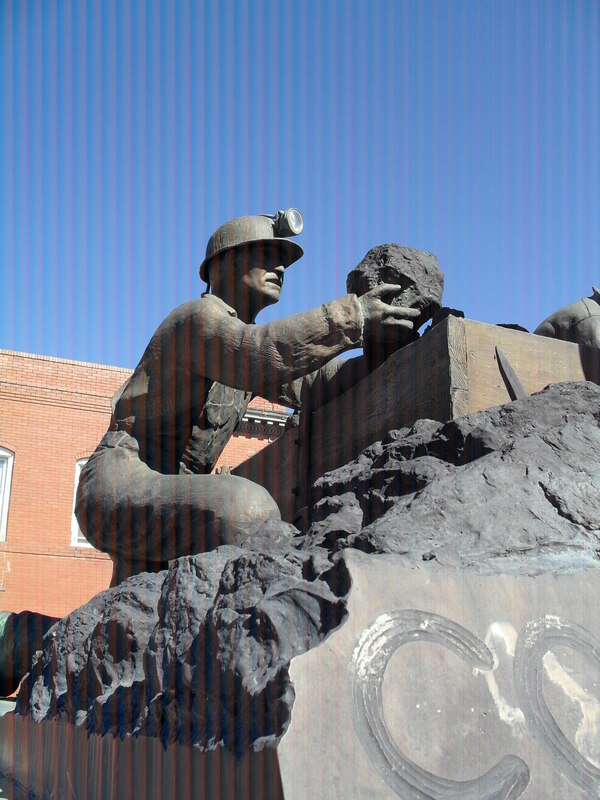 The memorial pays tribute the the hardworking coal miners–active, retired, and deceased–of the region. It is a life-size replica of men working in a coal mine. The bronze representations of the three men show them doing mining jobs. 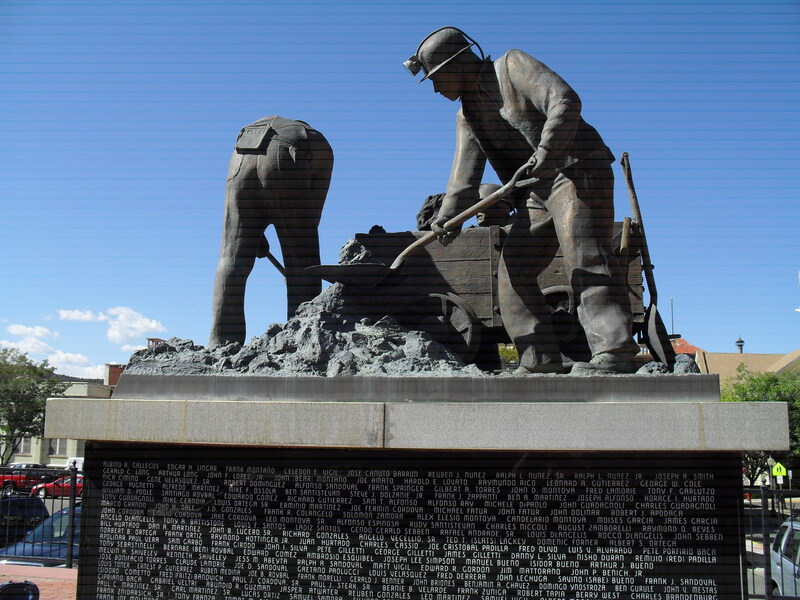 The statues are atop a black granite base, upon which the names of coal miners from 18 states are inscribed. 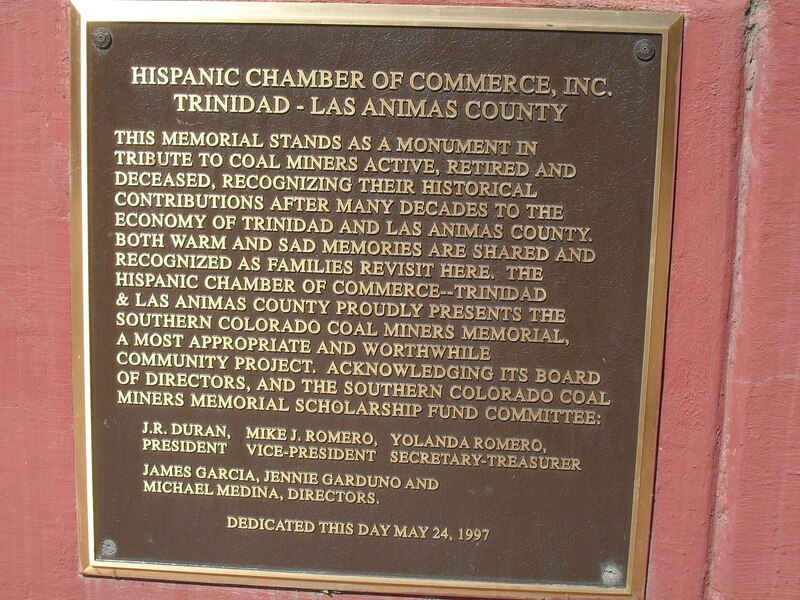 Historically, coal mining has been very important to Las Animas County, of which Trinidad is the county seat. The town was founded in 1862, after coal was discovered in the region. 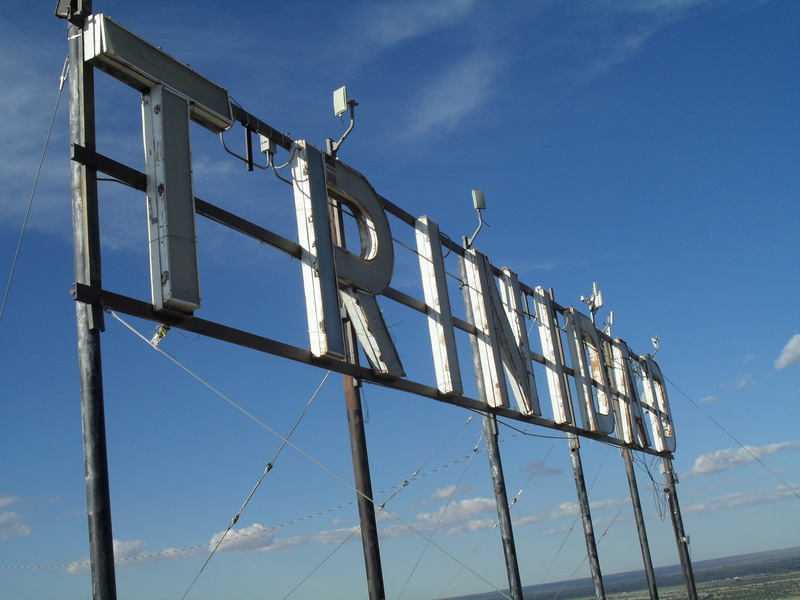 According to http://en.wikipedia.org/wiki/Trinidad,_Colorado, the discovery of coal “led to an influx of immigrants, eager to capitalize on this important natural resource. By the late 1860s, the town had about 1,200 residents.” The coal miners and their families spent their hard-earned money in Trinidad, thus contributing greatly to the growth and success of the town. The Ludlow Massacre was an attack by the Colorado National Guard and Colorado Fuel & Iron Company camp guards on a tent colony of 1,200 striking coal miners and their families at Ludlow, Colorado, on April 20, 1914. Some two dozen people, including women and children, were killed. 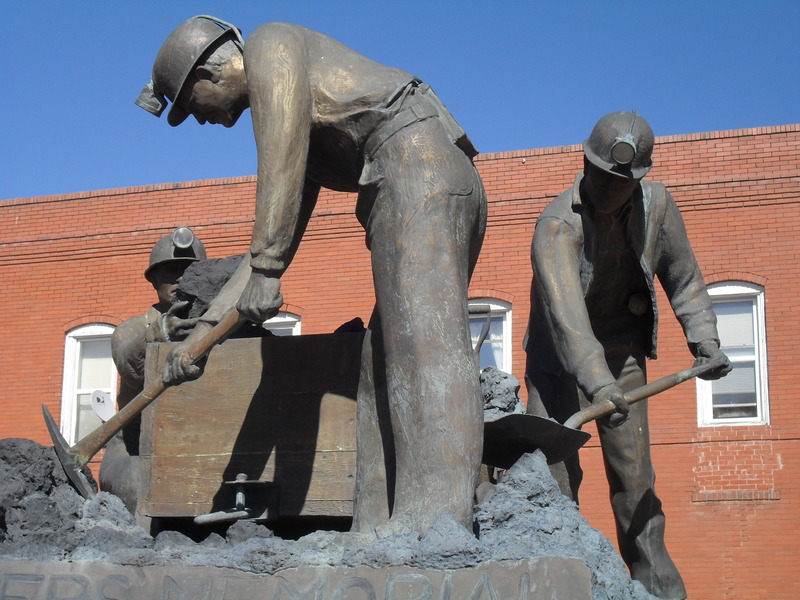 It makes sense to have a memorial to coal miners in the small town of Trinidad. It is a good spot to reflect upon all the men and women who have lost their lives in and because of coal mines. It’s also a good spot to think about the coal miners who are right now risking their lives for our comfort. This sign is on a bluff on the Northern end of Trinidad. The bluff is called Simpson’s Rest, and is named for early resident George Simpson, who is buried there. The sign is lit at night so folks don’t have to wonder where they are. My friends and I took North Avenue, which leads to a rut-prone county road to the top of Simpson’s Rest to visit the sign and look down onto the town. I took this photo while we were there. This is the view of Trinidad from Simpson’s Rest, where the big Trinidad sign stands. I took this photo too. 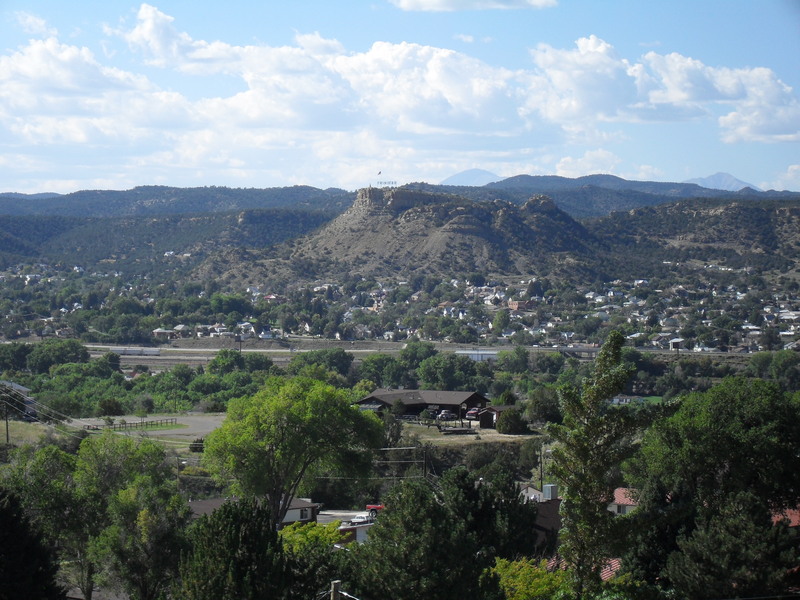 I took a trip to Trinidad, Colorado to visit friends who had moved there from Austin, Texas. 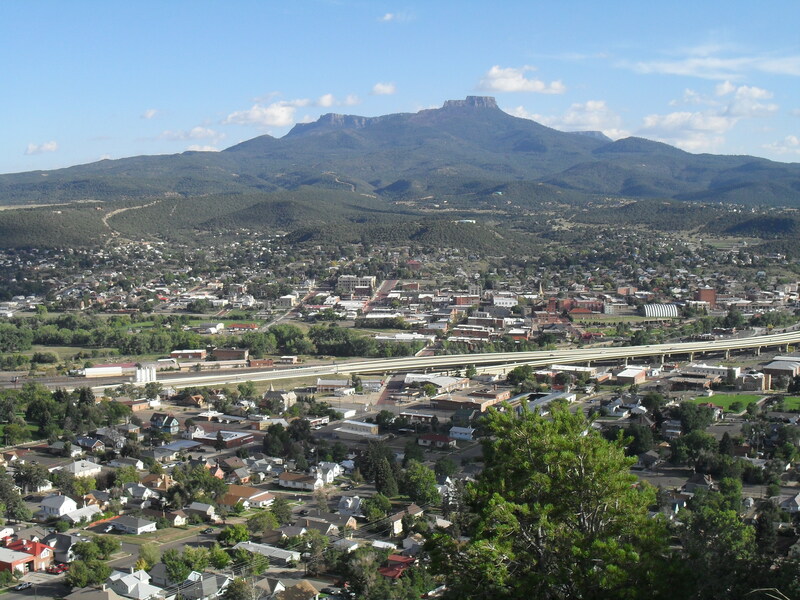 Trinidad is a small town (population 8,465, as of 2013) in Las Animas County, Colorado. It is the most populous town in the county and the county seat. 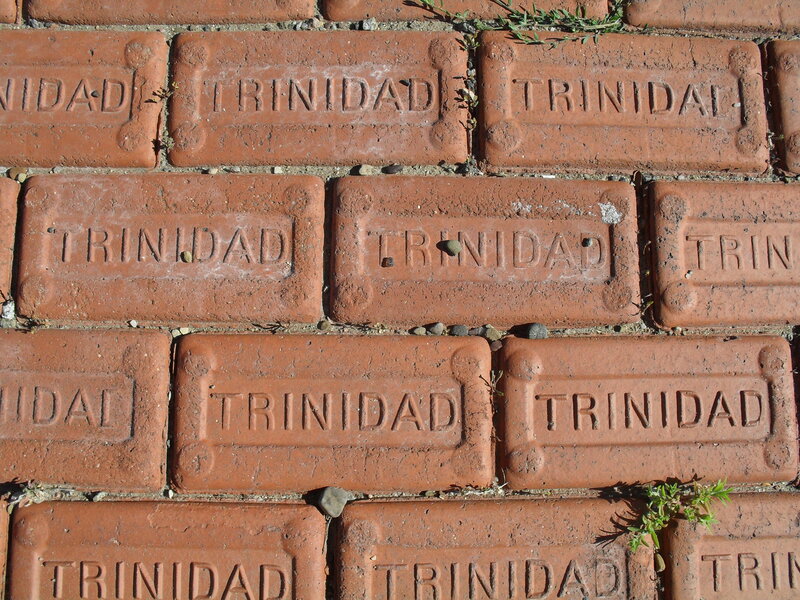 Trinidad is situated in the Purgatoire River valley in far southern Colorado at an elevation of 6,025 feet (1,836 m). The city lies 13 miles north of the New Mexico border. Trinidad first became a town because of the Santa Fe trail. The town grew as a resupply stop on the Santa Fe trail. In 1862, coal was found in the region and lots of people (primarily immigrants) flocked to the area and to Trinidad to work in the mines and make money off of the people who worked in the mines. Here’s a view of Simpson’s Rest from the other side of town. You can see just see the Trinidad sign, which is tiny in this photo that I took from the Ave Maria Shrine. For many years Trinidad housed the miners who worked in the coal mines of the Raton Basin south and west of the town. The coal mines are now closed, but since the 1980s companies have been drilling new gas wells to extract coalbed methane from the remaining coal seams. Trinidad’s location at the foot of Raton Pass, along the Santa Fe Trail between St. Joseph, Missouri and Santa Fe, New Mexico, has always made it a favored route for travellers, first by foot, then horse and ox-drawn wagon, then by railroad. Today Interstate 25, the most highly traveled route between Colorado and New Mexico, passes through Trinidad, and was recently reconstructed through the city to upgrade the aging raised viaduct in which the highway used to go through city. I used the Wikipedia article about Trinidad quite a bit to jog my memory and find statistics about the town.